The Rosiglitazone tablets are designed to be used in patients with type 2 diabetes. An individual that has been diagnosed with the type 1 version or insulin dependant cannot take this medication. The pancreas supplies the body with insulin to breakdown table sugars as well as carbohydrates. When this part of the body fails to use the insulin correctly or cannot supply enough, then an individual has diabetes. The Rosiglitazone tablets are created to stimulate the pancreas to produce enough insulin to keep the body healthy. It also helps an individual’s system to manage the insulin correctly. This medication may be used with other diabetic pills. However, before adding tablets to a daily schedule, make sure the doctor approves of this. These pills can be prescribed in 2mg, 4mg as well as 8mg. This depends on the individual’s medical history and how their body produces insulin. 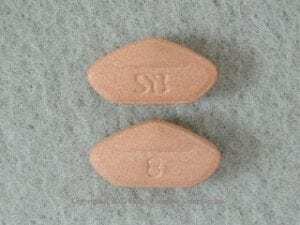 A person cannot take the Rosiglitazone tablets alone. They need the proper diet and exercise to complete their healthy regiment. A person may take this medication once or twice a day, per the physician’s orders. The tablets do not need to be taken with food. However, if the medication causes an upset stomach, food may remedy this problem. It is important to take the medication around the same time each day. This will allow the body to become more use to the medication quicker as well as assist the individual in taking it as prescribed. The Rosiglitazone tablets should be taken everyday as the doctor prescribes, do not stop unless told to do so by the medical provider. There is certain information that each patient should be aware of before they begin this treatment. It is vital to follow all of the doctor’s instructions to a tee. If any questions or concerns are present, address them to the physician immediately. Some medications can interact with the Rosiglitazone tablets. Before beginning this treatment, express the pills that are being consumed to the doctor. Even over-the-counter medication can cause irreversible damage if they do not work well with these tablets. Allergic reactions are rare. However, as with any medication, this can happen. Be sure to communicate with the physician of any adverse effects that may have occurred in the past. They may need to watch the patient more closely and lower the dose if any problems arise. Nursing and pregnancy can be a cause for alarm. If the patient is pregnant or thinking about becoming pregnant, consult the doctor right away. It is recommended not to nurse while taking the Rosiglitazone tablets. This medication may increase the chance to become pregnant. It is important to discuss this with the medical care provider. Alcohol, stress and illness can all increase the glucose levels in the system. An individual that is experiencing any of these should tell the physician right away. The dose of the medication may need to be higher or an alternative medication may be prescribed. Side effects can occur with any medication. There are some common as well as rare things a person may experience. An individual needs to contact their physician if they are finding anything unusual happening to them. Common side effects should leave by themselves within a few weeks. As the body is becoming more use to the medication, the symptoms will disappear. If they do not, contact the doctor as soon as possible. These symptoms include but are not limited to cold or flu like symptoms, difficult menstrual cycles and muscle or joint discomfort. An individual may experience low blood sugar. The symptoms for this are fatigue, sweating or dizziness. Other symptoms may be present as well. When this occurs; test the glucose levels, eat a hard piece of candy and wait for about 30 minutes. Then check the blood sugar levels again. If it is still dangerously low, seek a medical care provider right away. Some of the more serious side effects can hit an individual at anytime. If any of these symptoms are present, contact the physician right away. The symptoms include but are not limited to vision problems, jaundice like symptoms, feeling sick or rashes. There may be other symptoms present as well.